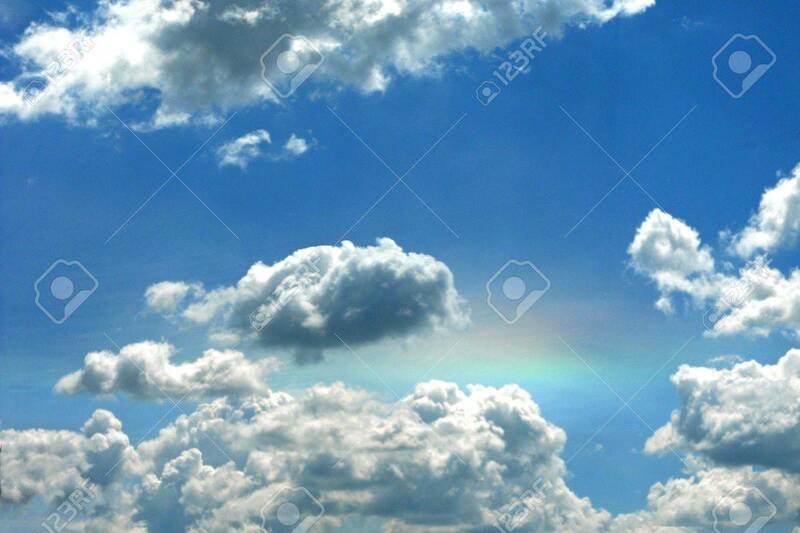 Bright Puffy Clouds In A Blue Sky, With Just A Touch Of Rainbow.. Stock Photo, Picture And Royalty Free Image. Image 9525770. Stock Photo - Bright puffy clouds in a blue sky, with just a touch of rainbow shining through. Bright puffy clouds in a blue sky, with just a touch of rainbow shining through.